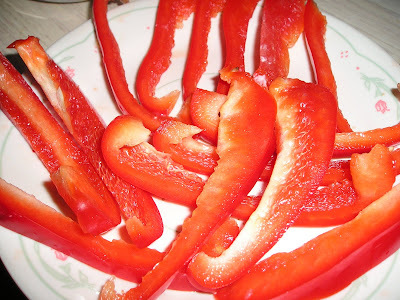 My daughter just got done eating slices of sweet bell pepper. She love eating it with blue cheese dressing and dip. I am glad that my son is starting to eat a little bit of fresh veggies and fruits too. My son refuse to eat any veggies before but now that he sees his sister eat fresh and cooked veggies, he start eating it too. 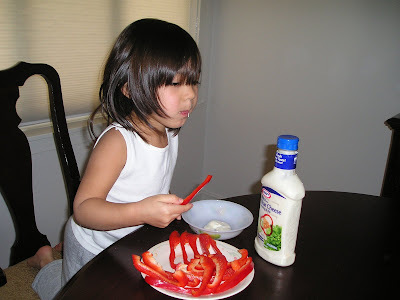 Rylie also like eating fresh cucumber, green bell pepper and tomatoes. She also love canned black olives.